Want a breakdown of the “must haves” in the auto, RV and marine category? 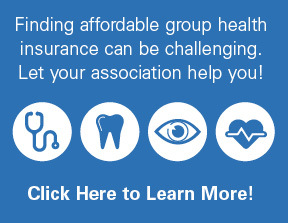 Check out our checklist for essential items for each department by clicking here. When a customer ties up his boat at Summerland Hardware’s dock in Summerland Key, Florida, it’s not usually for a casual stroll through the aisles. There’s sun to soak up in the idyllic South Florida seas, but there are a few items he needs before he can shove off and take to the water. All the better that Summerland Hardware is set up to get boaters, homeowners and visitors supplied and back to the fun. Whether it’s catering to seasonal visitors or expanding the selection of the actual wheels and oils that move consumers through the world, home improvement retailers are becoming more focused on the mobile lifestyle. For a closer look at retail operations that thrive in the auto, recreational vehicle (RV) and marine categories, Hardware Retailing spoke with three retailers. 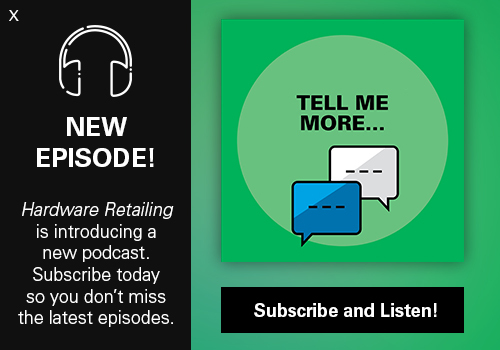 While these examples show some retailers heavily devoted to niche customers, their tips of the trade can aid businesses whether they stock four or 40 feet in these categories. We tagged along with Greg Forsythe, owner of Westmart Building Center in West Yellowstone, Montana, for RV expertise. We came aboard with Jeff Price, owner of Summerland Hardware, for a look at marine supply sales. Finally, we took a ride with Root River Hardware owner Mike Steien to learn about his two auto-centric stores in Minnesota. Recreational vehicle enthusiasts are all about transporting their comfort. They want to see the world while always having home close by, making RVs their ideal mode of transportation. For Greg Forsythe and Westmart Building Center, serving these travelers and consumers is all about providing comfort-giving items such as home accessories and outdoor entertainment pieces, while also stocking niche items needed to supply a life on the road. The business is located in one of the several hubs of activity surrounding Yellowstone National Park. Sitting just outside the western edge of the expansive park, West Yellowstone, Montana, shrinks to around 1,000 residents in the winter months and balloons to around 11,000 during the summer. This doesn’t count visitors who stay in the dozens of hotels, campgrounds and RV parks outside the town’s borders. These area housing options serve vacationers looking to have fun in the famous park and surrounding wilderness. However, part-time residents and seasonal visitors aren’t Westmart Building Center’s sole customer base. Because of its lumber department and a wide array of paint offerings, the store does a large amount of business with local contractors and carpenters. 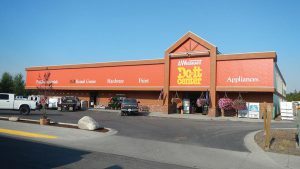 Yet planning for the busy summer selling season is a huge factor to Westmart Building Center employees, a group Forsythe credits with the business’s success. the retail business serves year-round residents as well as visitors to nearby Yellowstone National Park. In the past 10 years, Forsythe says his RV-oriented shelf space has expanded from 12 feet to more than 40 feet, bringing in new products each year based on customer demand and sales records from previous years. Some items will remain a staple for a RV-dwelling customer—such as lightbulbs for small appliances and sanitation products, Forsythe says. However, some small items are less obvious and take research and knowledge of the complexities of mobile living. With different organizations and companies running the area campgrounds and RV parks, the number of electrical connections and other offerings like internet, cable and satellite entertainment can change. Westmart carries hookups for 30- and 50-amp connections. He also sells electrically heated hoses, a necessary item when temperatures drop. Given the investment that a fully equipped RV setup entails, these customers are usually particular about upkeep and cleanliness. So, while Forsythe says he wants to supply items for fun, he also stocks plenty of items for cleanup. “RVers put a lot of money into their wheeled vehicle, and they want to take care of it. They need all of the cleaning supplies of a car wash, along with supplies that keep a home and an outdoor space clean. If you want their business, you have to help them keep it tidy,” he says. Given the remote nature of Westmart Building Center, Forsythe says he’s made goals to earn his customers’ trust while supplying enough products to keep residents and visitors from venturing to surrounding communities looking for supplies. Owner Greg Forsythe says he’s expanded the RV-related items stocked at Westmart Building Center based on feedback from his seasonal customers. “We’ve really worked hard to discourage competition from coming into town. We know, as generations change, people can look up pricing and products anywhere. So we aim to provide the best business and service experience possible, and the hotels, RV parks and locals have been very loyal to us,” Forsythe says. Knowing there isn’t a full RV store and repair shop for miles outside of his area, and a big-box hardware retailer requires an even longer drive, Westmart Building Center regularly partners with a small repair company during the summer months. While full repairs can’t be accomplished on site, customers at the store looking for repair work are directed to the repair company. “It really comes down to letting customers know where you are and what you’ve got. This is a market that thrives on service, supplying specific demands and being a one-stop shop from the moment they walk through the door,” he says. One could be forgiven for assuming a hardware store in the Florida Keys would focus on the “fun in the sun” products for vacationers. Yet Summerland Hardware boasts not only a thriving hardware business that serves local rental properties, hotels, residents and contractors, but also a substantial marine department highlighted by the 100 feet of dock space for boaters right outside the store. The store owner, Jeff Price, emphasizes on making the most out of the 2,000 square feet of sales space that Summerland Hardware occupies. While the store strives to cater to home repairs as well as the many items needed to keep a vessel seaworthy, it becomes a game of logistics and supply, he says. “We have to pick and choose the products we carry, but that’s the nature of having the kind of salesfloor we have. We’ll still make sure you can get the job done,” Price says. 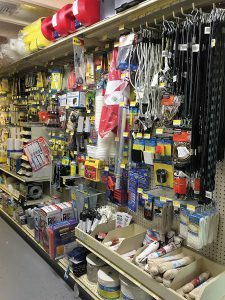 Safety equipment, such as flares and first-aid kits, are important for marine sales at Summerland Hardware. Price’s philosophy when adding marine products is to keep it simple, supplied and safe. There are items that every boat absolutely must have to be certified to leave port, including life jackets, flares and additional safety equipment. There are also plenty of items that regularly break and must be repaired or replaced. Being able to offer a service, such as making a new battery cable that has been burned up, can also go a long way with a customer who is looking to get out on the water and enjoy themselves. “The necessities are anything that makes the boat go and make it safe on the water. Those are the items that people on boats can’t live without. You’d be amazed at how often a boat will come in and have none of its safety equipment in working order,” Price says. With space at a premium, he often has to toe the line between remaining well stocked and not crowding his store with bulky items. That has led to the kind of delivery turnaround Price believes has helped his business remain a go-to destination. Summerland Hardware receives two trucks each week from its hardware co-op and daily deliveries from its three marine distributors. The store even puts out a personalized catalog through one distributor that consumers can take and have on hand to place orders. Summerland Hardware features a docking area at the store so customers can arrive by land or by sea. Owner Jeff Price says he’ll often have customers shop for needed items and then begin repairs right at the store. Price has devised several other programs that serve the kind of vacationers he sees in the Keys. The Summerland Key community leans toward long-term rentals, with most houses needing to be rented for at least 30 days at a time. The area doesn’t have a live aboard (full-time boat resident) community, as there is no mooring basin near the store, but the fact that customers can sail up to Summerland, tie up their boats and start repairs right there is a big factor for the store’s reputation. Price also credits his online presence through his co-op, which allows boaters to order supplies from their boat and sail in to pick them up. “People on vacation are out of their comfort zones, so anything we can do to make them feel at ease and welcome goes a long way,” Price says. Summerland Hardware provides a tool rental service that gives vacationers the ability to make repairs they need without buying a tool they already have back home. Also, Price is looking to add package shipping to his line of store services. 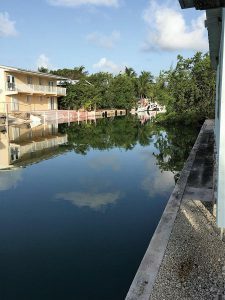 Many customers already place orders through the store’s co-op’s website and those products are waiting for their arrival in the Keys, but Price says he is seeing increased demand for the ability to ship things back north prior to the visitor’s departure. 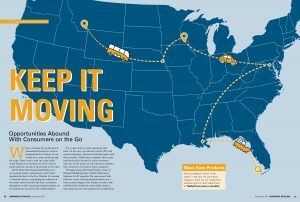 Not every mobile lifestyle means traveling far and wide and maintaining a moving residence throughout the year. Most consumers across the country maintain their own version of a mobile lifestyle every day. Outside of major cities, public transit can be hard to come by, and personal vehicles still rule the road. Perhaps more so than any other type of product, auto parts keep consumers on the road and able to make their work and personal obligations. This sector of the category ties in well with the hardware and home improvement industry in delivering vital products close to home. 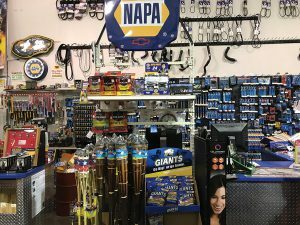 It was with that idea in mind that Mike Steien decided to add on to his two NAPA Auto Parts franchise locations. 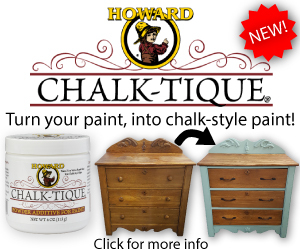 In 2011, after seeing two local hardware stores close their doors, Steien added hardware to his franchise locations to create Root River Hardware with locations in Chatfield and Preston, Minnesota. Root River Hardware owner Mike Steien expanded his NAPA Auto Parts franchises into hardware sales in 2011. 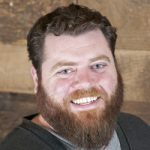 Steien saw the vacuum for a local hardware store in two communities he was already serving with NAPA franchises, but he says he didn’t want to just move the previous inventories from the closed stores into his own shops. 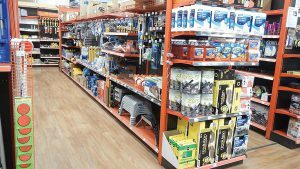 Finding a solid mix of the home improvement products along with his already-present collection of auto parts was the key to making the combination stores work. “We tend to stick with the true hardware stuff, the nuts and bolts, plumbing supplies and PVC supplies that are always in demand,” Steien says, adding that while Root River sells paint and sundries, it doesn’t currently offer paint mixing. Similar to Summerland Hardware and its marine department, Root River Hardware must make do with small spaces in its stores. This means educating employees and having proactive service for customers, since there’s less likelihood that a customer will be able to find the items they are looking for without assistance. Another need fulfilled by Root River Hardware’s presence is camping and RV. 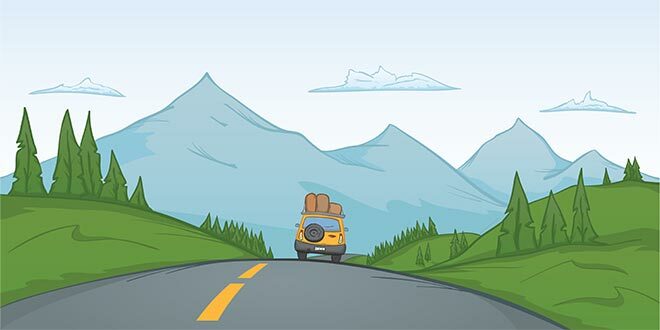 In addition to the auto supplies needed to maintain an RV, a large number of local campgrounds and RV parks rely on his two stores for basic necessities, like camping gear or electrical adaptors and sewer hoses. Businesses serving an area with large campgrounds and outdoor attractions would benefit from an expanded auto department to draw in customers looking to maintain those vehicles as well. To Steien, the opportunity to expand his business came out of a newly formed need for local hardware stores. For hardware retailers looking to expand their automotive offerings, he suggests exploring their surrounding markets. While teaming up with a franchise like NAPA Auto Parts might not be the right path for every business, it has worked well for Root River Hardware. Even without a franchise attachment, Steien says many auto parts and supplies can be found through hardware distributors for similar or lower costs than through auto parts distributors. One way to find a niche in the auto supply market is to work with local repair shops and mechanics, which make up a significant portion of Root River Hardware’s auto business. Root River Hardware has two locations in Minnesota, with both Chatfield and Preston locations offering auto parts as well as hardware. “Those shops are always looking for the best way to buy consumables. There are always traveling salesmen who sell just that, so you’ll have to beat those prices, but you can be very competitive in things like brake cleaner, gasket cleaner, oil and antifreeze,” Steien says. His stores provide certain automotive services, such as turning brake drums and rotors in vehicles. The stores also offer to build hydraulic hoses, something Steien believes any hardware business should offer, especially if it serves a rural community like his do.